The Commercial Bank of Kuwait required a new corporate identity to project strong public profile when extending their services from the commercial to the retail market. 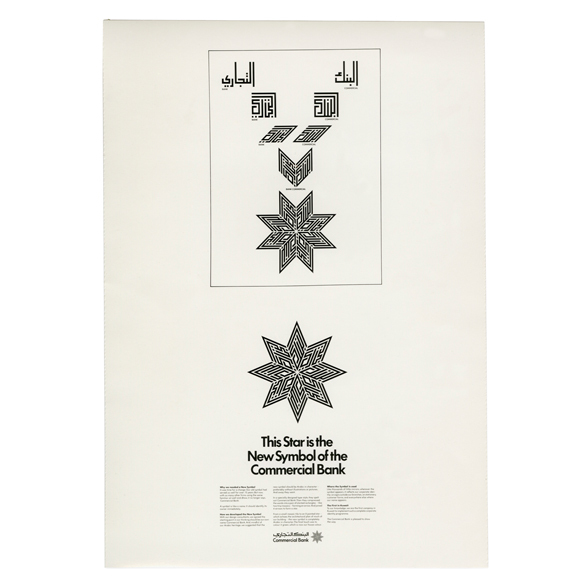 The brief was to create a symbol which would be significant to Islamic cultures and yet function equally effectively in the international financial communities. 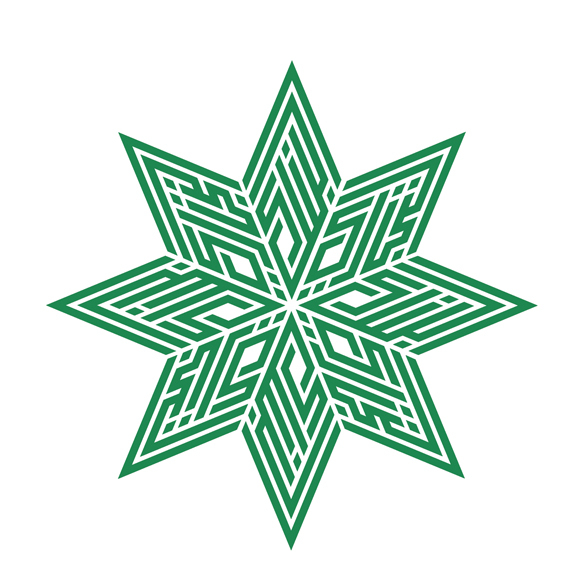 The design emanated from the Arabic words for 'commercial' and 'bank', which, reproduced in geometric Kufic script, were able to be transformed into a star. The symbol is therefore both name and picture. The programme also included the design of stationary, banking and customer documents, annual reports, publications, a comprehensive signing system, and a number of executive gifts.